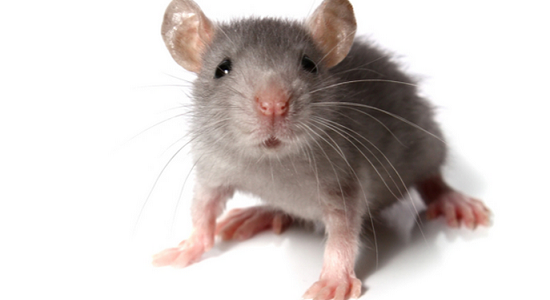 Still looking for an effective and humane home remedies to get rid of mice? I don’t blame you. House mice aren’t the best housemates because they can cause a lot of damage, contamination (due to their droppings and urine), and breed fast. So, without keeping you waiting, here are some of the ways you can get rid of mice. To beat the enemy, you must first understand their behavior. If not, all the trapping devices and poisons in the world are going to be useless. Mice usually scavenge for food near their nest, around up to 25 feet away. Areas within this parameter are ideal for placing your bait or traps. You can also find them moving somewhere near walls, corners, cabinets, kitchen counters, drawers, and below sinks. They mostly feed on nuts, grains, seeds, and other fatty and protein-rich foods. Sometimes, they may also feed on other insects. Older mice are sort of smart. This is the reason why glue boards are useless. True, some mice do get caught in them, but these are mostly younger mice that move through muscle memory instead of paying attention on where they’re travelling. Also, when they see or eat insects caught on the glue boards, they eventually learn about their effect. Actually, here’s the truth: Sound machines, essential oils, moth balls, herbs, rat poisons, baking soda, and other repellents don’t work at all or not so effectively. What should you do? Follow these steps instead. This is a difficult and tiring step, but it’s the most crucial. After all, how can you seal off your entire home if you don’t know how they’re getting inside in the first place? The goal of this step is to identify ALL the entry points of mice and the “rodent zones,” which basically refer to areas between their nest and food sources. And while you’re at it, spend time in studying their activities. What time they usually come out of their burrows (most likely during the night), where they love to hang out, and look for signs of their presence (droppings, urine, gnawed cabinets, etc. ), and so on. The reason a mouse is attracted to your home is because of the heat it emits through the doors and windows. It gains entry to your home by gnawing, jumping, climbing, or even swimming. An adult mouse has an average length of 3 to 3.9 inches and a tail length of 2 to 4 inches. It can squeeze through holes and gaps as small as 3/8 inch or the same size as a dime. And when it finally succeeds in invading your home, it will most likely build its nest in secluded areas. Attics, storage rooms, cabinets, hollow portions of walls, bottom part of appliances, and under kitchen sinks are just a few possible places they would build a nest. Of course, wood is definitely not the best material for this job. The enemy would just gnaw it, so stick to concrete and steel materials to seal the holes and gaps. Quick dry cement – I would recommend any cement powder brand that’s mixed with materials that harden and expand, such as bentonite clay. Pay special attention to gaps or holes found in fireplaces, dryer vents, floor vents, electrical fixtures, plumbing, gas lines, windows, doors, basement, rafters, eaves, and rafters. Sometimes, if not most of the time, people think they can successfully trap the enemy without doing Step 2. Big mistake! They can just escape through unsealed holes and gaps? They’re not messy, unlike glue boards. They almost always kill mice on contact when they trigger the metal pedal. If that doesn’t happen, you can always wait for another hour or so for it to die. To dispose of the body, you simply lift the metal hammer. So, what’s the best snap trap to buy? Style doesn’t really matter. The old design would do just fine. You don’t even have to leave any bait. Just make sure to continue trapping for around a week or more to ensure you get them all. We’ve come to the final and messy part. Like the other steps, this is a definite must-do. As you know, mice feces and urine contain harmful pathogens that can cause serious diseases, such as leptospirosis, lassa fever or lassa hemorrhagic fever, salmonellosis, hantavirus pulmonary syndrome (severe and fatal), and so on. Before you start, make sure you’re wearing latex or vinyl gloves, goggles, mask, and rubber boots or disposable shoe covers. The following protective gear should be washed and decontaminated using a bleach and water solution after use. Open the windows and doors for approximately half an hour before cleaning to let fresh air inside. It’s best to leave the area while this happens. According to the Centers for Disease Control and Prevention (CDC), you can spray the area with a mixture that’s made up of 1 part bleach and 9 parts water. Let it sit for five minutes before rinsing everything off. Remember: Always use disposable cleaning materials and follow the manufacturer’s directions when using a commercial disinfectant. All four steps are important to get rid of mice, including the diseases they can cause. So, don’t skip anything. What do you think? If you have any other effective remedies, please feel free to share them below.